This year Royal Ascot, boasting eight Group One races and a prize fund topping £5.5m, has attracted runners from the UK, Ireland, France, USA, Australia, Hong Kong, Germany and Japan and is set to be a fantastic week. Starting on Tuesday, regarded by many as Ascot’s best card of racing, there is no less than three Group One contests to drool over. All eyes are on the Aidan O’Brien-trained Gleneagles who’s looking for his third Group One prize of the season in the St James’s Palace Stakes (4.20pm). Elsewhere on Tuesday’s card, the Ballydoyle trainer has a good chance of regaining the Group Two Coventry Stakes (3.05pm) with Air Force Blue, a half-brother of 2013 winner War Command, and clinching his first ever Windsor Castle Stakes (5.35pm) with the precocious Washington DC. The drop in both trip and company make the Jersey Stakes (2.30pm) an ideal place for the Hannon-trained colt to spring back to winning ways. Also on Day 2 is the Group One Prince Of Wales’s Stakes (4.20pm), regarded by many as Flat racing’s most important contest in the modern era. This year, horses trained in no less than seven different nations are bidding to return to their shores with the jewel in Flat racing’s crown. Thursday plays host to Royal Ascot’s most prestigious event, the Gold Cup (4.20pm). With favourite Forgotten Rules unlikely to get his favoured soft underfoot conditions and the stamina doubts around second in the market, Clever Cookie, the race could be more open than most think. On the penultimate day of Royal Ascot a new Group One contests takes centre stage, the Commonwealth Cup (3.40pm). Last year’s most exciting filly, Tiggy Wiggy, is dropped back into sprinting company with old rival Anthem Alexander. With more bets on horse racing than anyone else, Sporting Index is the leader in sports spread betting and has the sport of kings well and truly covered. 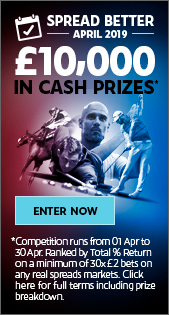 Whether it is betting on one horse’s supremacy in lengths over another or buying the performance of a jockey over the course of a meeting, bettors have never had such a wide and immersive betting experience. 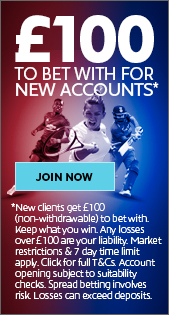 For a superior horse racing betting experience, sign up for a Sporting Index account.